As a buyer, it usually costs nothing to hire a real estate professional to help you find and purchase a home. Your Realtor will likely get a portion of the commission the seller pays to his Realtor. Having a Realtor to protect your best interests, prepare all the forms, present you with a CMA and negotiate on your behalf is priceless. Listen to your agent, but make your own decisions. Art understands the relationship between home buyers and agents must be based on trust, mutual goals and understanding...this is why Art always keeps your interests first and foremost. 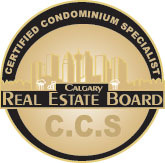 The real estate process requires negotiation of complex issues; He is committed to working in your best interests. He will help you secure the best possible price, with the most favorable terms, in the shortest period of time. When searching for your dream home, it’s important to be well informed of the Real Estate market. To help you with this process, consider the following factors: What features do you require in a home to satisfy your lifestyle now? Five years from now? Will your needs change? What’s your budget? These are decisions only you can make, but Art will do everything possible to match you with your dream home. That means determining how much money you can raise for your down payment and how much you can afford to pay on a monthly basis. Go to a lender to find out the size of mortgage you qualify for and get pre-approved. Better yet, use a mortgage broker to find you the best mortgage rate possible. It is much easier to look for properties that are within the budget rather than spending time and energy on homes that are perhaps not in reach. When calculating the costs of home ownership, remember to plan for homeowner's insurance, property taxes, private mortgage insurance (if required), utilities, repairs, and maintenance. MOVING WITH YOU EVERY STEP OF THE WAY!